Report of a rollover crash with injuries on McHenry Road south of Lake Cook Road. Crew on arrival reports one vehicle on its roof with all patients out of the vehicle -- no extrication. At least one patient evaluated. Report of a crash with injuries on 87th St west of Modaff Rd. Upgraded to a crash with extrication. Police on scene reported it was a car vs tree crash but would not let media anywhere near the crash. Front desk would not answer whether or not this incident would involve an extended accident investigation. Naperville police desk would not answer the points were 87th St was closed. 87th Street appeared to be closed in both directions, just west of Modaff Rd. 87th St appears to be closed between Modaff Rd and Massachusetts Ave, according to Google maps traffic layer. Report of a detached garage fire that is approximately 5 feet from a 1-story home. Police on arrival report a fully-involved detached garage with large flames over the building by 2:04 a.m.
E21 crew on arrival reports a large fire from a garage behind the house by 2:05 a.m.
E21 assigned interior for the garage by 2:08 a.m.
Saws need to access the fire about 2:12 a.m.
Fire through the roof with a large amount of fire still inside the garage about 2:14 a.m.
A23 assigned RIT at 2:19 a.m. Need a second line up the driveway for significant fire coming from a vehicle in the garage with fire through the roof. Two lines on the fire. Primary search complete and negative inside the house by 2:21 AM. Garage fire not under control. BC6 reports fire under control by 2:23 AM. BC6 reports fire is out by 2:28 a.m.
Report of a fire at the Clarendon Hills Bank. Response upgraded to a General Alarm for a working fire at a 2-story brick building. Response upgraded to a Special Alarm by 7:25 a.m..
Report of smoke coming the first floor. Second ambulance requested at 10:38 p.m. Leading out by 10:41 p.m. for a fire in a first floor condo unit. BC5 reports heavy smoke coming from a condo unit in the front, left corner of the building. Fire out by 10:56 p.m.
TRUCK(S): T ?? T53 TL ?? MABAS Division 24 Box Alarm on Box #? for a motor vehicle accident. Patients transported to Loyola Medical Center and Elmhurst Hospital. EMS PLAN 2 at 3:55 a.m.
Report of a crash with injuries. Crash is possibly located on the curve closer to Elm Tree Rd north of Grass Lake Elementary School. BC21? on arrival at 8:07 p.m. reports heavy, heavy damage. BC21 reports an ejection at the scene. Report of a person with a gunshot wound in an apartment hallway. Scene secure by 4:17 a.m. Crew on arrival reports one vehicle with heavy front end damage. ComEd pole hit; no driver on scene. Extrication crash, head on crash on Green Bay Rd north of 9th St. Crew on arrival reports to cars with heavy damage at 2:44 a.m. Flight for Life requested by 1842 at 2:46 a.m. Requesting Newport engine to assist with Landing Zone at 2:50 a.m. Green Bay Rd and 9th St.
Report of a rollover crash with a van on its side and on fire. Police on arrival by 11:41 p.m. confirm the van is on fire. E52 crew on arrival reports a van on fire and everyone appears to be out of the vehicle. E52 facing northbound by 11:42 p.m.
Fire is out by 11:45 p.m. with A53 paramedics treating one patient. MABAS Division 21 Level I Haz Mat at a working fire at a commercial building -- Owens Corning Summit Roofing Plant. EMS PLAN 1 "99-North" for the structure fire at a working fire at a commercial building -- Owens Corning Summit Roofing Plant at 10:37 a.m.
EMS Staging 59th and Archer Ave.
Report of a crash with injuries, and a 4-ambulance response. Patients transported to Advocate Condell Medical Center. Command terminated at 8:34 a.m.
EMS: A272 A273 A?? A?? Report of a house fire with a fire in an upstairs bedroom. E39 crew on arrival reports a large 2-story home with fire out the front by 6:41 p.m.
"Well involved house fire, 50x50"... E38 deck gun on the fire, and defensive ops on arrival. Wheaton command updates about 6:58 p.m. a 2 1/2-story large home with a working attic fire, with an alert to standby for an upgrade. Primary search complete and negative on the first and second floors by 7:02 PM. Hitting hot spots, getting a good hand on the fire by 7:02 PM. Homeowners account for by 7:04 PM. Companies working the interior, extensive overhaul, and hitting hot spots at about by 7:08 PM. Command reports fire is knocked and alarms will not be upgraded by 7:18 PM. Report of a crash with injuries and extrication of one patient. Three patients transported. Crew on arrival reports two vehicles with heavy damage. Extrication complete by 5:07 p.m.
Schaumburg A54 transporting on patient. Hoffman Estates A24 transporting two patients. Three BLS transports, one medical refusal. Report of an apartment house fire with flames running up the back of a balloon frame. E43 crew on arrival reports nothing showing from a 2-story frame, and then immediately reports they do have smoke by 12:23 p.m.
Police reported there might be an injured victim that was rescued by police -- a third ambulance was requested by 12:26 PM. BC7 reports a 2-1/2-story balloon frame, 25x40, one line led out, main to the roof, everybody's working by 12:29 p.m.
BC7 reports two lines on the fire, ground ladders up, fire through the back of a balloon by 12:33 PM. CPD reports they have no injured victim -- holding the third ambulance by 12:33 PM. Still and Box request at 12:41 p.m. on orders of BC7. E35 (third engine) assigned to back in from the north and lead out, have next (box truck = TL14) bring their tools to the front at 12:44 p.m.
BC7 reports three lines on the fire, main to the roof, ground ladders up, main body of fire is out, chasing hot spots, and a lot of overhaul expected at 12:52 PM. Primary and secondary search complete and negative on the first, second and third floors, no exposure problems, a lot of washdown, human service needed by 12:59 PM. STRUCK OUT AT 1:00 PM on orders of 2-2-2. 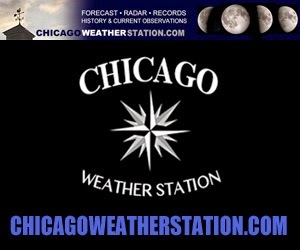 Report of an apartment fire on 56th St just west of Michigan Ave.
BC5 reports a 3-story ordinary, 40 X 75, with heavy, heavy fire on the second floor rear. 221 reports the main body of fire is out, two lines on the fire, primary search complete and negative, secondary search complete and negative by 2:15 PM. STRUCK OUT at 2:27 PM on orders of 2-2-1. Final search complete and negative by 2:30 PM. Second companies returned at 9:53 a.m.
Second companied called back for fire extension discovered in the attic about 9:55 a.m.
BC21 reports a 1-1/2-story ordinary, 30x20, with a mattress fire on the 2nd floor bedroom that extended into the attic. One line lead out by E73, main to the roof, and second ladder raised to Side C by 9:59 a.m.
Searches are underway, and roof opened. At 10:00 a.m. BC21 request a railroad line just south of the fire scene be shut down because a hose line is stretch across the tracks. Report of a person shot in the 2400 block of Albany Ave. Crew on arrival reports they have a fire. BC22 reports a 2-story frame, 25x50 with a fire on the second floor. One line on the fire by 9:44 AM. MABAS Division 3 Box Alarm on Box16-F for a structure fire and EMS/Life Safety Box 16-E.
Citizen walking to Station 9 to report a building fire. E9 crew on arrival reports a small fire on the roof. Fire at O'Hare Metal Products. Water on the fire by 10:03 p.m.
Fire appears to be all external with no extension into the building, but there is a light haze in the building. Employees evacuating in process of evacuating at 10:05 a.m.
Report of a person shot on 49th St near Ada St.
Fire at Hebrew Ysraelite Culture Center. Report of a fire commercial building with apartments (2-story brick building). E47 crew on arrival reports fire in a 2-story building with apartments over commercial with smoke in the rear. BC23 reports heavy smoke by 8:41 p.m.
Three 2 1/2-inch lines on the fire. Crews going defensive, ladders going up, crews off the roof by 8:47 p.m.
T30 crew rescued a reported handicapped woman. 225 needs the second tower ladder, TL37, on Side A. Setting up snorkel, tower ladder by 8:43 p.m.
Alley has power lines down in the rear about 9:10 p.m. Hitting the fire at Side A and Side B. Four hand lines, two elevated master streams, and setting up a third elevated master stream by 9:15 p.m.
Report of a crash with injuries on Route 137 west of Route 43. Report of a man shot in the head in the alley.